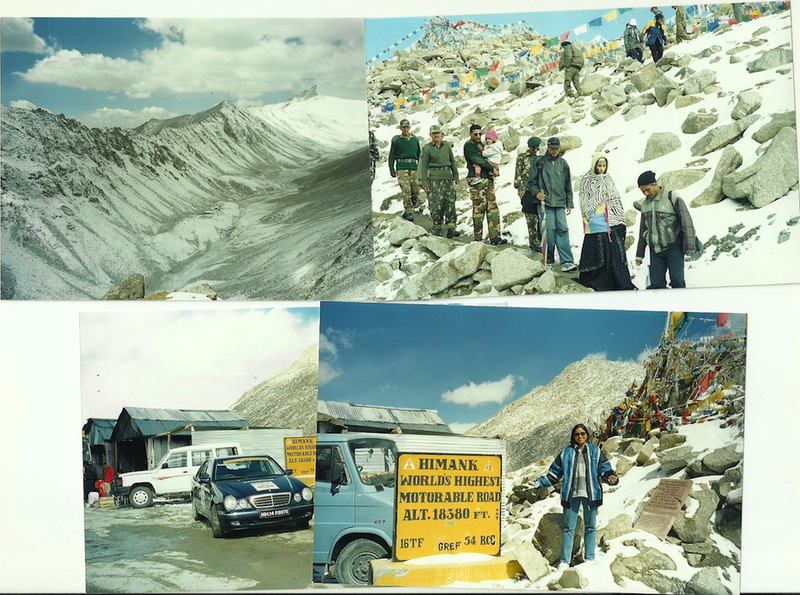 This happened on the world’s highest motorable world, back in the 2000s when so few vehicles made the long, difficult journey to Leh and Ladakh that some days we drove without seeing more than one Army truck, across the Morey Plains. It was a lonely road, and I remember that on the return journey, the passes shut one after another as our cars went through Baralacha-la and Rohtang-la, raising certain concerns that we might after all have to winter with the shepherds or drive like modern ghosts up and down between the passes until the snows melted and summer arrived. It was grindingly noisy, with the trucks and the impressive cursing, and the blaring music. But there is this to be said for being stuck in a traffic jam on the highest motorable road in the world: you can’t complain about the view, with or without La Koirala in the frame. I was there, in 1975, and again in 1977; we climbed up the Rohtang; and the stillness once we were at the top was otherworldly.